Rebecca Bamber, 30, of Tye passed away October 28, 2018. The graveside service will be Wednesday at 11:00 A.M. in the Tye Cemetery with Pastor Jami McCravey officiating. The services are under the direction of North's Funeral Home. Rebecca Bamber was born on November 30, 1987 to Edward and Betty Sims. In 2005, she married William Bamber. She had 3 wonderful children. She worked as a nurse for Draco Home Health Care. Rebecca's enjoyed reading books, taking long drives, spending quality time with her family, and cooking. She is proceeded in death by her aunt. 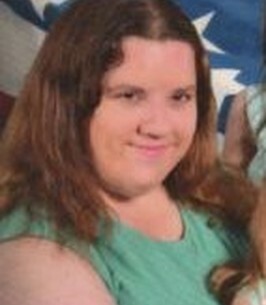 She is survived by two daughters: Lacey and Gracie; her one son Bryce; her brother Edward Sims, Jr. of Abilene; her sister Ariel Crabtree of Abilene. To send flowers to the family of Rebecca "Becca" Bamber (Sims), please visit our Heartfelt Sympathies Store. We encourage you to share any memorable photos or stories about Rebecca. All tributes placed on and purchased through this memorial website will remain on in perpetuity for future generations.